The eighth and final season of Game of Thrones will premiere in our country on April 15 through HBO Spain and Movistar + . But the battle of the fans of the series to avoid that they destripen the end has already begun. A user of Reddit has published a detailed summary of what happens in the first chapter of the season. He has done so after having seen a video on YouTube with details of that episode, which lasted minutes on the platform for copyright reasons. Other videos commenting on those details have also been removed from the platform and others like Instagram . 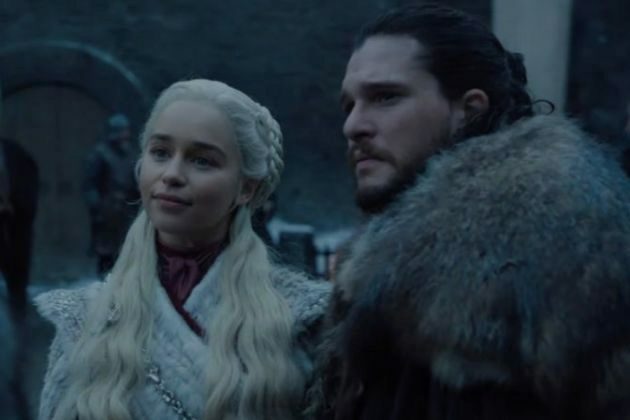 British journalist Chris Mandle said on Twitter : "It seems that the first episode of Game of Thrones, season 8 , was leaked on the internet through Reddit." He also noted that HBO was taking action on the matter. The description in Reddit of the chapter that we can see officially on April 15 specifies some things that were already revealed in the trailer or in various advances, such as Sansa Stark will meet Daenerys Targaryen . But it also reveals details unknown to date, by reviewing scene by scene throughout the episode . The text specifies reunions between certain characters, their conversations and the actions that will take place in this first installment of the season. Read it at your own risk. The panic has seized the followers of Game of Thrones before this leak . Some of them say they will not return to Twitter until the series ends and others criticize HBO for allowing things like this to happen. "I do not like that the episodes of Game of Thrones are already filtering in. I'll be dodging spoilers for the next two months." "The Game of Thrones script has leaked in. You can read the first episode of the entire eighth season, be careful with the spoilers, there are some great ones, I'm going to block the word" filtering "... HBO, how do you do it? always annoy her? " Game of Thrones will end with its eighth season, which will have a total of six chapters . In May we will see how one of the most popular television series of recent years concludes. After its end the fans of the fiction will find comfort in the already confirmed prequel of the drama, which will have among its actors Naomi Watts or Josh Whitehouse .